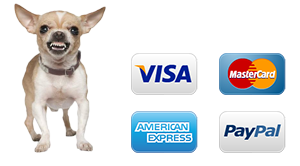 Tail-Waggingly Natural Dog Food To Make Our Dogs Healthier & Happier.....For Less! That's why the UK's dog owners are going mad for our range of natural hypoallergenic dog foods. They're designed to help our dogs be healthy and happy for the same price as lower quality foods. It's a no brainer! We’ve just released our Gourmet range of dog foods for all those dogs with a special interest in delicious doggy food. Made from lots of fresh meat and no added grains it’s a dinner time treat with added TLC. It comes in 4 adult flavours including Salmon & Trout with Asparagus and Sweet Potato, Lamb & Mint with Sweet Potato and Peas, Turkey & Cranberry with Sweet Potato and Pork & Apple with Sweet Potato. With great ingredients you also get some excellent health benefits due to the natural minerals and vitamins included in each food. 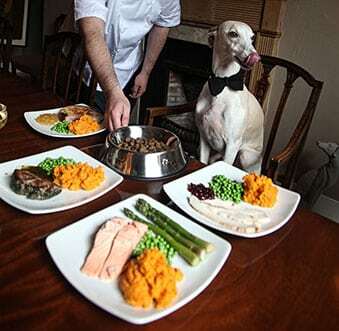 We’ve also released a gourmet puppy food made from Chicken, Turkey, Salmon & Country Vegetables. No grains in this one either, just a balanced selection of ingredients designed to give your new arrivals a great start in life. Oh, and very tasty one too!